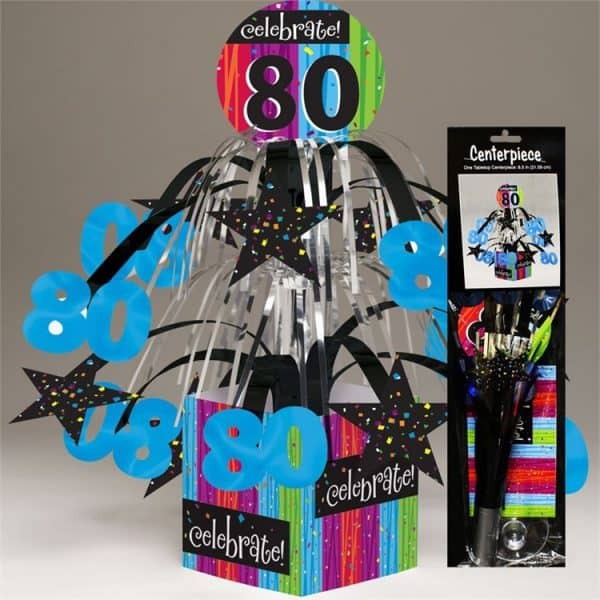 80th Birthday Decorations: Easy & Festive Decor for a Fabulous 80th Birthday Party! 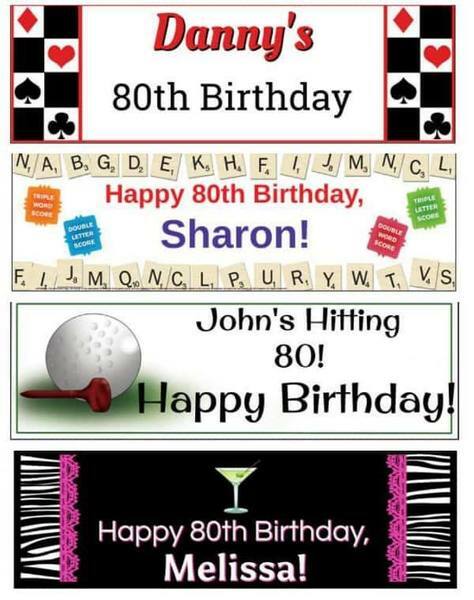 Looking for festive 80th birthday decorations? An 80th birthday calls for the celebration of the century. 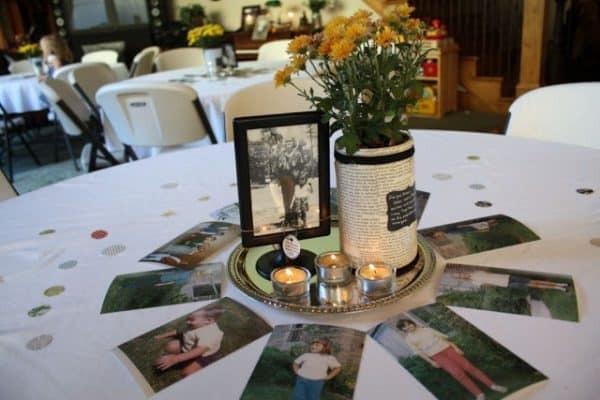 With the right 80th birthday party decorations, you can achieve just that. From personalized banners to balloons and confetti, you can throw a birthday bonanza and create memories that will last a lifetime. Highlight the guest of honor with a brilliant banner that perfectly complements the rest of the decor. You can even go a step further, and personalize it with the individual’s name and age. Ensure no surface is left unadorned with fun hanging decorations. Paired with other options, hanging decor lets you decorate from top to bottom. Using paper or foil lanterns, miniature fan balls and fun swirl decor, you can let the ceiling join in on the fun. Hanging decor lets you honor the birthday star with an over-the-top celebration that they’ll cherish in their hearts for years to come. For a fun DIY project, you can paste together your favorite pictures to create a table runner that allows guests to walk down memory lane. Balloons, party hats, plates and more can all be personalized with the smiling face of the birthday lady or gentleman. Balloons are the perfect way to create a festive atmosphere. Great for decorating ceilings or doorways, they also provide valuable entertainment for children and adults alike. Balloons featuring giant numbers, fun shapes and vibrant colors provide the eye-catching decor that a milestone birthday demands. Turn your everyday table into an exciting party hub with an assortment of decorations and centerpieces. From tablecloths and dinnerware to confetti and napkins, 80th birthday-inspired decor can transform any room into an impressive party zone. For a focal point, a dazzling centerpiece is all you need. Whatever style birthday bash you’re aiming for, you can find or create tabletop decor and centerpieces to celebrate the big day in style. When preparing for an 80th birthday celebration, don’t forget the great outdoors. Yard signs, lights and door ornaments are just a few options to emphasize the party’s location. If your party can’t be contained behind four walls, you can transform your outdoor environment with bows, bunting and more.